Jack Armstrong is a world renown founder of COSMIC EXTENSIONALISM Art. 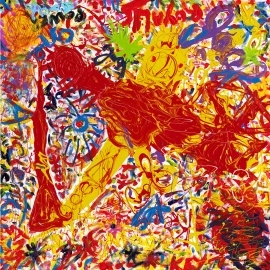 A style of modern art created by Armstrong in 1999. Armstrong who worked with Warhol, Basquiat and Keith Haring in NYC, he was named the Last Wizard of Art by Warhol because of his revolutionary art style and refusal to use dealers in his mission to become the best American Artist in Modern History. 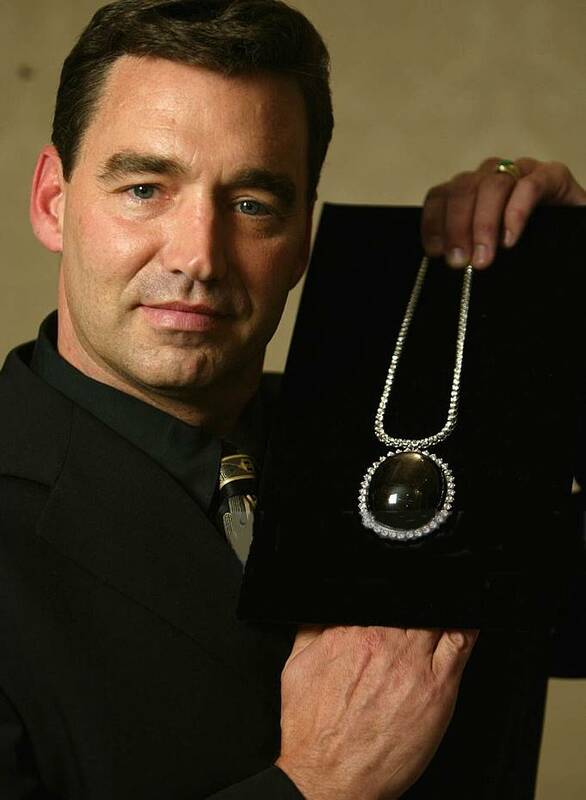 As a young boy on a visit to the Smithsonian Museum with his mother, Jack was fixated by a unique and precious stone, a 733-carat sapphire, the Black Star Sapphire of Queensland. He promised his mother that one day he would buy the stone and he did. Jack Armstrong claimed the stone spoke to him and told him he would be a famous artist. It told him to paint exactly 100 paintings and never another. The Iconic Cosmic Harley and Jack Armstrong artist himself even reached the cover of the Pakistani Times. They are now well entrenched in the psyche of many people and currently 2 books have chapters talking about the Cosmic Harley and Jack Armstrong. Any researcher will see numerous articles in newspapers, magazines, internet, and on radio & TV. While not quite as famous as his uncle, astronaut Neil Armstrong, Jack is the subject of “The Last Wizard” a movie, staring Damian Chapa and Eric Roberts, being made soon about his life. 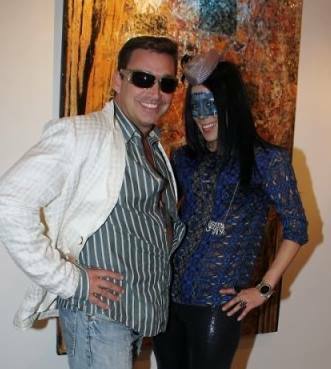 Damian was introduced in the 1980s to Jack at a Warhol Party by Details Magazine’s brilliant writer Stephan Saban. With only 100 paintings in the entire world these colorful, multilayered, acrylic on canvas paintings, are held closely by savvy collectors who bought directly from the artist himself or through Star Global International. The art has Jack’s finger prints, thumb prints, hand prints, and DNA in all of the 100 paintings – a process cleverly devised by the artist to thwart forgeries. However, Star Global is keeping track and can authenticate all of the paintings. Twenty-five paintings are destined to form the basis of a museum which the artist will open soon. He aims to help other talented artists showcase their talents. This means only 75 paintings can ever be available for sale. About 80 of Jack’s paintings are 24” x 36” before framing and are multi-layered and amazingly vibrant. Starting prices are currently from $1,950,000 rising steeply to $10,000,000. Two paintings, 36” x 48”, are priced at $4,9500,00 each and one piece de resistance, “Cosmic Starship Arrival”, 48” x 60”, is priced at $6,500,000. Alice Walton Wal-Mart billion-aire and owner of Crystal Bridges Museum of Modern American Art, architect Narendra Patel, French superstar Michel Polnareff, Donny York of iconic pop group Sha Na Na, and actor Eric Roberts are listed among his famous collectors. Very recently a 4-page in-depth interview with Jack appeared in Art & Museum. This was submitted by Derek Culley, the artist who discovered Damien Hirst. The magazine is part of The Family Office Elite Magazine which goes to high net worth individuals usually with assets around $100 + million dollars. Jack’s paintings are destined to be virtually priceless and a renowned art valuation expert told Star Global that the “sky is the limit” since there are only 100 paintings. It is most unlikely that any of these paintings will find their way to market soon as most current owners are certain that the contemporary art market is expanding. Owning an Armstrong is a combination of something exclusive and of beauty to brag about. It’s also about possessing portable wealth.